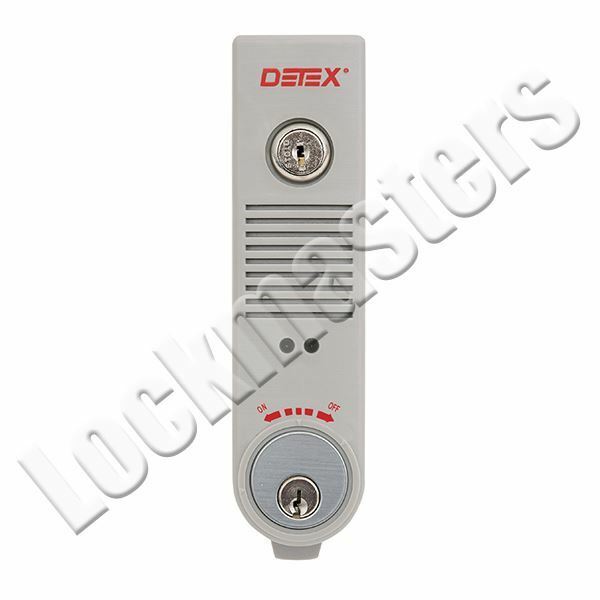 The Detex EAX-300 is a door propped alarm that is powered by a standard 9 volt battery. This application allows the doors to be used for exit or entry, but may not be held or propped open for longer than 4 minutes. The alarm will stop ringing as soon as the door closes.